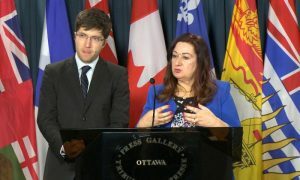 On December 7, Canadian Senator Salma Ataullahjan pushed for passage of Bill S-240, which serves to amend Canada’s Criminal Code and the Immigration and Refugee Protection Act by addressing trafficking in human organs. The bill denies admission to any permanent resident or foreign national who has participated in human organ or tissue trafficking from returning to Canada. Moreover, the legislation dictates that any individual who knowingly receives an organ or tissue from someone who did not give informed consent would be committing a crime. Conservative MP Garnett Genuis, who introduced a similar bill in the House of Commons in April of last year, pointed out China’s transplant abuses, “There’s obviously substantial concerns about organ harvesting in China, in particular the taking of organs without consent, often without anesthetic, from prisoners of conscience, from Falun Gong and others—this is a major concern,” he said. Israel, Spain, Italy and Taiwan have already passed laws restricting their citizens from traveling to China to receive organ transplants from illicit sources. This executive order requires that human trafficking perpetrators be banned from entering the United States and their assets frozen. In addition, the order aims to punish both foreign and U.S. citizens who act as accomplices to trafficking crimes. Thirteen human rights violators have already been named by the Treasury Department since the order was issued, including Mukhtar Hamid Shah, a Pakistani kidney transplant surgeon and Gao Yan, director of the Beijing Public Security Bureau, Chaoyang Branch. Gao is responsible for enforcing the persecution of Falun Gong, the largest victim group of China’s forced organ harvesting program.